Did you know that roughly 40% of the residential population does not come from NJ??? 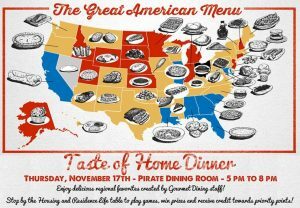 On Thursday, November 17th at 5pm HRL will be celebrating those students by hosting it’s annual Out of State Dinner in collaboration with Gourmet Dining Services! 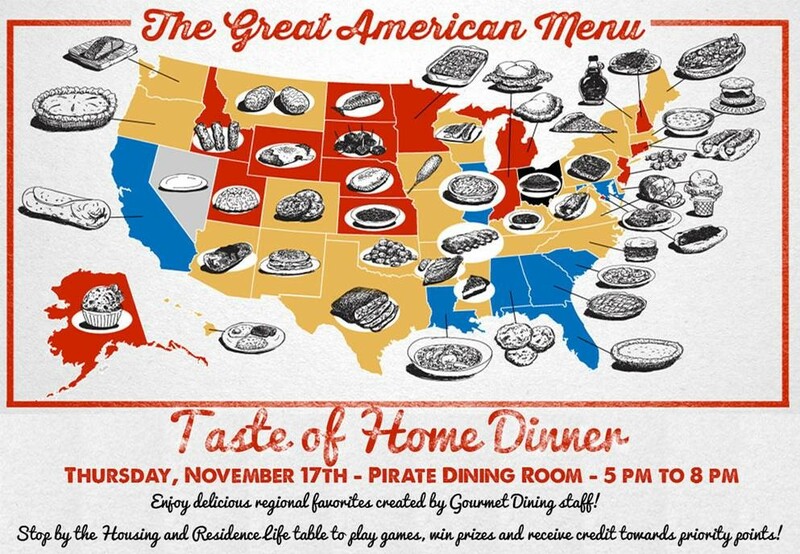 This event will take place during the regularly scheduled dinner hours in the Pirate Dining Room. Students are encouraged to stop by the HRL table at dinner and show us where you are from!